R4 Ltd Tyre Recycling Northern Ireland Car Tyre Recycling Truck Tyre Recycling R4 Ltd.
R4 Limited is Northern Ireland’s 1st registered waste disposal site for the recycling and recovery of waste tyres. R4 can recycle Car tyres, truck tyres, Earthmovers, Tractor tyres and many more. 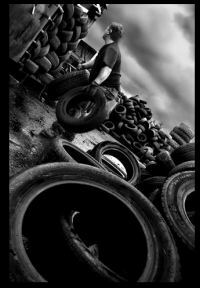 We recycle tyres from Belfast, Coleraine, Banbridge, Newry and further afield. R4 has achieved accreditation to IS014001 the Internationally recognised Environmental Management System and achieved the Investors In People Award. R4 Limited has already engaged business with a diverse range of clients the following industry sectors. R4 Limited has key personnel with a proven track record of expertise in the tyre arena. 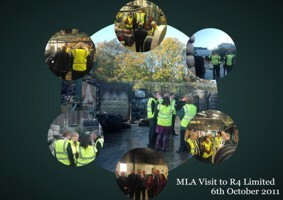 R4 Limited is operated under the expertise of Managing Director Lynn Kerr, a member of the Chartered Institute of Wastes Management and the NI Representative of the Retread Manufacturers Association. Mrs Kerr has already gained over 20 years experience operating in the tyre industry. Mrs Kerr is also a member of the Federation of Small Business an Ambassador for Craigavon Borough Council and a member of the Enterprising Women’s Network. R4 Limited is Northern Ireland’s only manufacturer of tyre blocks. R4’s tyre collection service is well established and fully operational ensuring a sustainable legitimate collection service. R4 are committed to providing & promoting the environmentally preferred option that our customers demand, and there is also the need to demonstrate to our clients that we have a long term sustainable disposal route. 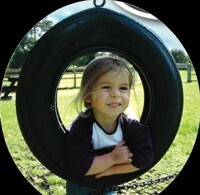 The green credentials of R4 Tyre recycling are deeply embedded in the philosophy of the whole business. R4 have asked Arena an environmental charity promoting practices that enhance business impact on the environment, to carry out a waste minimisation survey at the factory and as a consequence of that have put in place stringent waste minimisation procedures. As customers and consumers become environmentally aware R4 are not content to rest on their laurels and insist upon the highest level of efficiency for waste management and resource utilisation.